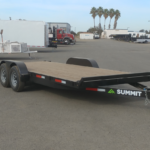 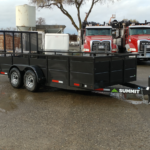 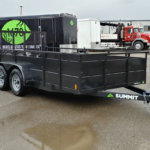 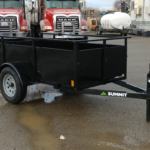 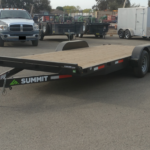 Can’t beat the value of this 10K equipment trailer by Summit. 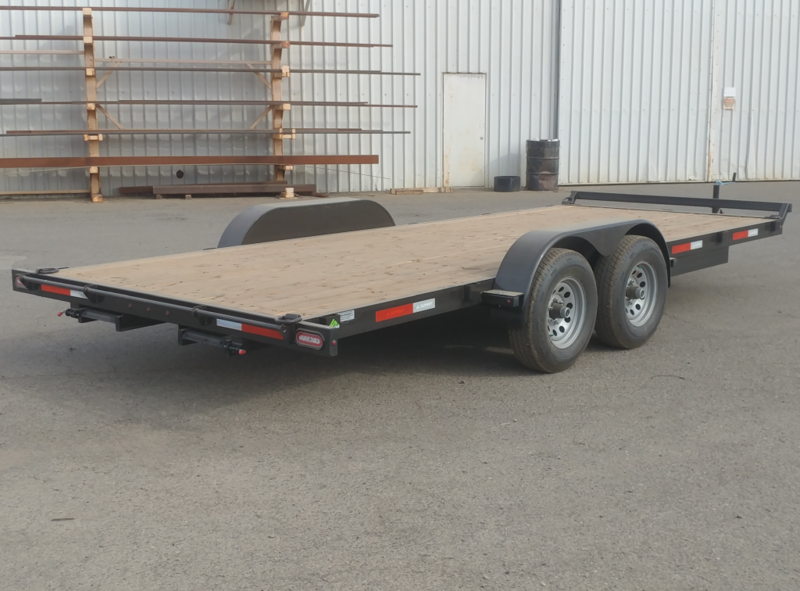 It’s a typical flat bed style trailer that can haul about 7,600 lbs. 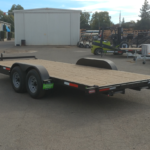 of payload, making it perfect for hauling heavy cars, trucks and tractors. 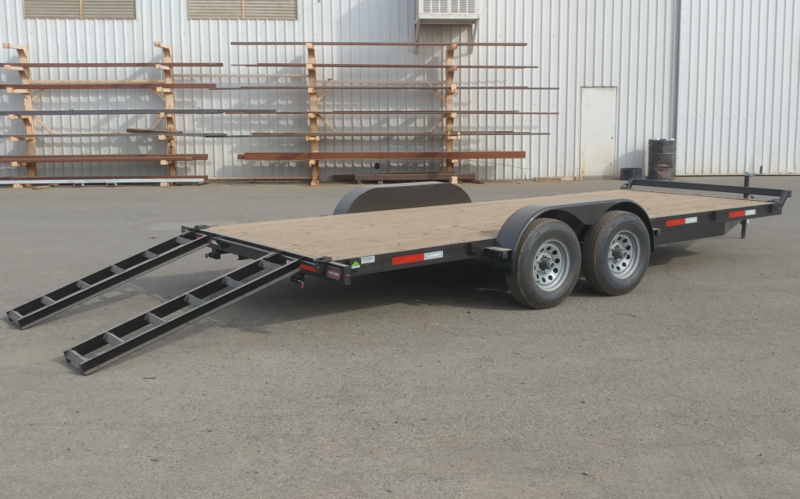 A pair of heavy duty rear slide in ramps are standard. 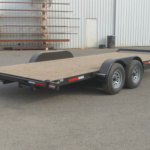 Tying down is made easy with D-Rings and lots of tie pockets all around the perimeter of the trailer. 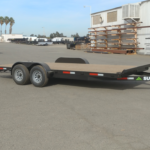 The trailer tongue is made of 5″ channel steel. 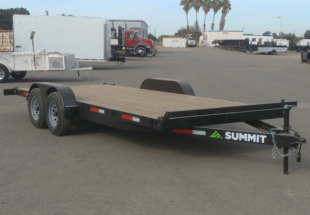 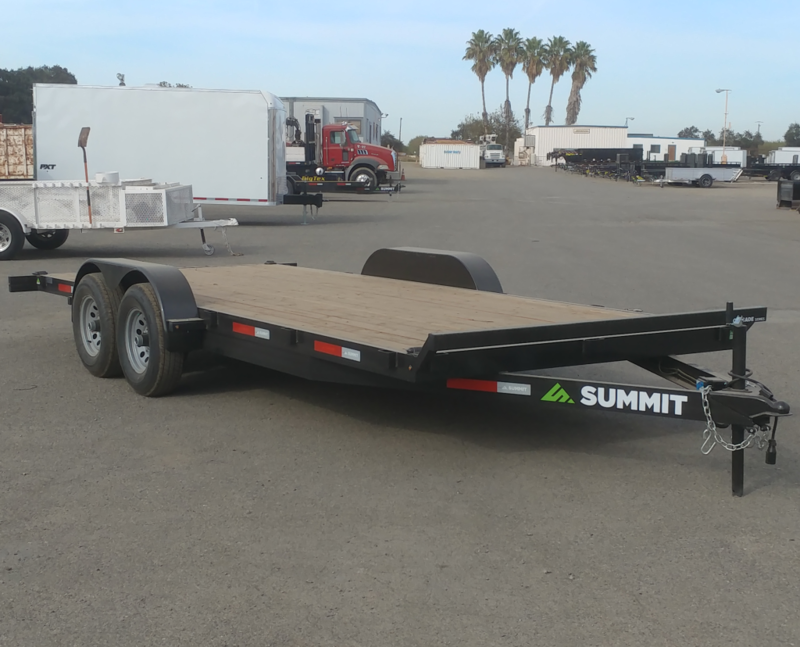 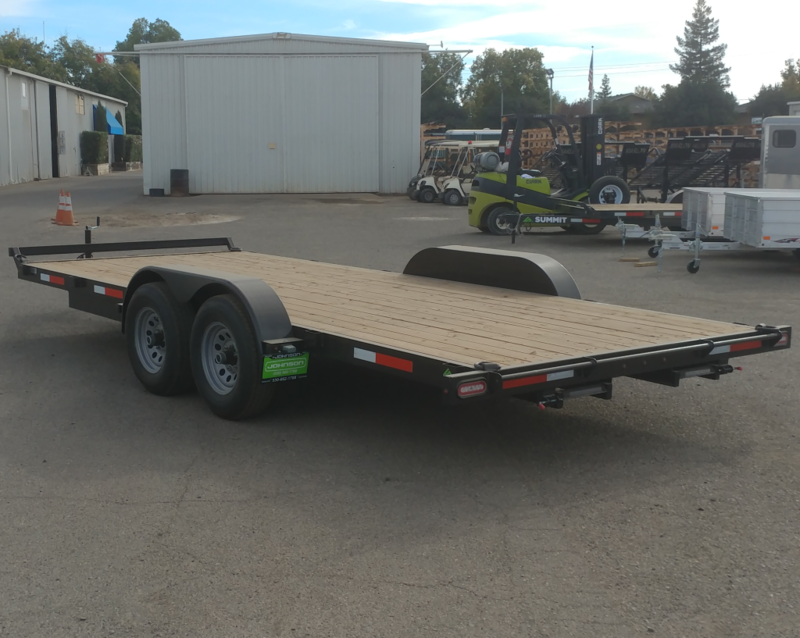 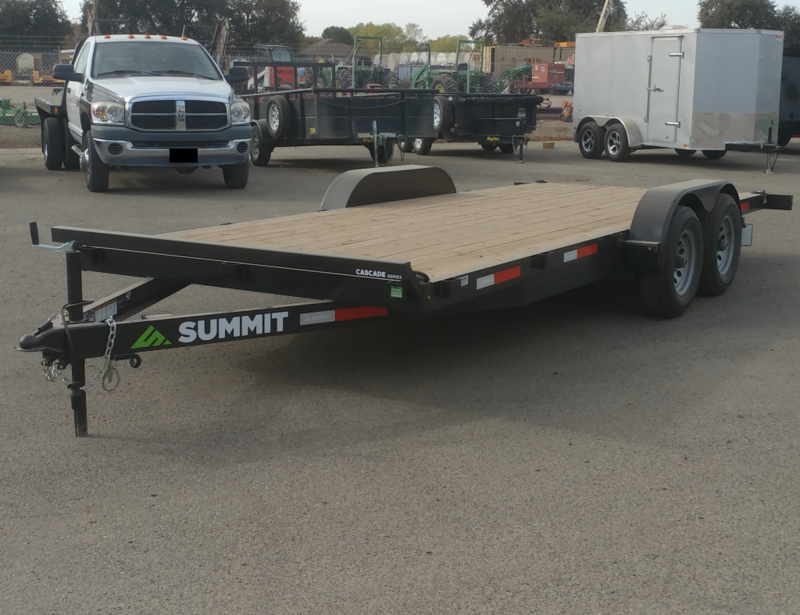 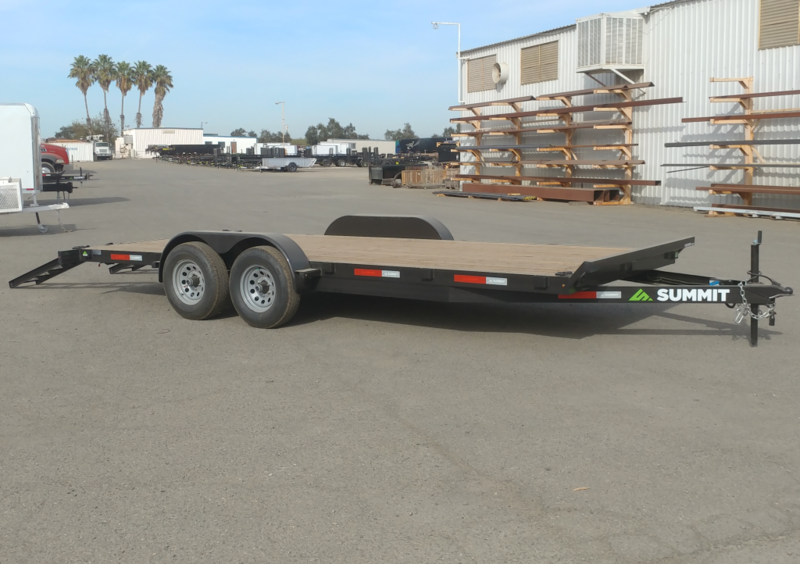 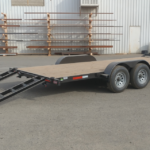 This trailer is loaded with lots great features like (4) D-Rings, front bump rail, steel diamond plate fenders, and adjustable height coupler.